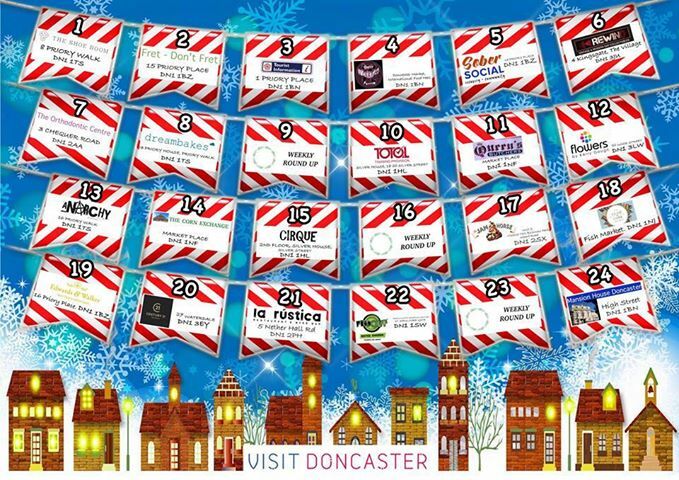 Visit Doncaster have something new as we countdown through December to the big day! Claire, who came along to the Halloween event and made fabulous spider hats, will be coming along again between 10am-12pm to make some Wiggly, Jiggly Christmas Trees!! These sound brilliant, so be sure to come along and make one. Stadium Stars, based at the Keepmoat Stadium, are coming along to help children make some lovely Christmas Decorations. Make sure your tree has one of these this year, don’t miss out! Lisa from Baby Dinosaurs Kids Market will be there on the day with Phoenix Womens Aid, collecting pre-loved children’s items that you may wish to donate for a toy appeal. Lisa is also bringing some lovely cakes to decorate. 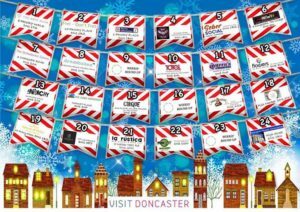 We’ll also have Puddle the Duck from Puddle Ducks Doncaster visiting us, to help open the advent door, gingerbread decoration and more! Come and join us at Cirque: 2nd Floor, Silver House, Silver Street, Doncaster. Visit Doncaster will ‘open the door’ live on facebook between 10am-11am.